The global biometrics market is growing at a rapid pace due to the need for increased security and to combat the rising instances of security breaches, identity theft and data hacking. Governments and business alike are looking for authentication technologies that not only provide reliable security but are also extremely difficult to fake. Biometrics is one such solution that fulfills all these conditions as well as provides a great deal of convenience to the users. This technology authenticates individuals based on their bodily or behavioral characteristics such as fingerprints, iris, gait etc. and therefore it is extremely unlikely that intruders can fake the user’s identity. A survey by Market Wired predicts that the global biometric technologies market will reach $41.5 billion by 2020 from a total of $14.9 billion in 2015. This almost reflects a five-year compound annual growth rate (CAGR) of 22.7%. The primary factor facilitating this shift from conventional authentication methods to biometrics is the pressing need for unique credentials to identify individuals that are also less vulnerable to theft or loss. What are the top biometric technology trends to watch in 2017? These payment systems are being touted as the future of financial transactions but they will need to adopt biometrics for providing the best security features, ease of use and achieving cost efficiency. A judicious mix of biometric technologies running on smartphones will offer the opportunity of clocking excellent growth rates. A comScore report shows that the smartphone usage in United States increased by 394 percent from 2010 to 2014. It is therefore no surprise that mobile payments will also skyrocket with the increasing usage of smartphones and the global mobile payment volume is predicted to surpass I trillion U.S dollars by 2019. This astronomical increase in the use of mobile phones for payments has also increased the concerns about cyber security threats. Apple was the first company to provide biometric user authentication with its Touch ID features that allows users to make iTunes purchases using their fingerprints. The introduction of another biometric solution Apple Pay caught the attention of the banking and the financial services sector. It utilizes a combination of the user’s fingerprints along with the NFC (near field communication) technology in their smartphones to authenticate payments for goods. A number of banks have now added biometrics to their mobile banking apps for user authentication using Apple’s Touch ID. Major providers such as Wells Fargo, Chase, Bank of America and American Express have released Apple Pay in multiple countries. Another survey also reveals that Apple Pay is supported at more than 700,000 locations. Furthermore the mobile lifestyle of consumers continues to drive new services and behaviors from financial institutions. Therefore integrating biometrics will not only provide added security and convenience but will boost the rapid adoption of mobile payments. The integration of biometrics in online banking provides banks and retailers the opportunity to offer safer payments and transfers thereby increasing customer loyalty and convenience. Although customers were initially apprehensive about the security risks associated with digital banking, providing an added layer of security with biometrics will help to pacify consumer doubts and increase their trust. It allows customers to authenticate their transactions using their fingerprints, face, eyes from any corner of the world and that too with far lower risks than passwords that can be stolen. Therefore, the growing adoption of biometrics in the banking sector is one major trend to watch out for. Traditionally, online shoppers have been bogged down by endless password lists and credit card PINs. The use of modalities such as fingerprint scanning and facial recognition will not only offer a great deal of convenience but also an exciting and new form of security and identity verification. With the rapid innovation in the field of biometric technologies, it will be no surprise if passwords soon become obsolete. MasterCard announced that it has been working on a concept called selfie pay. It allows customers to approve their online purchases by taking a picture of themselves for verification. This is an example of facial recognition technology. 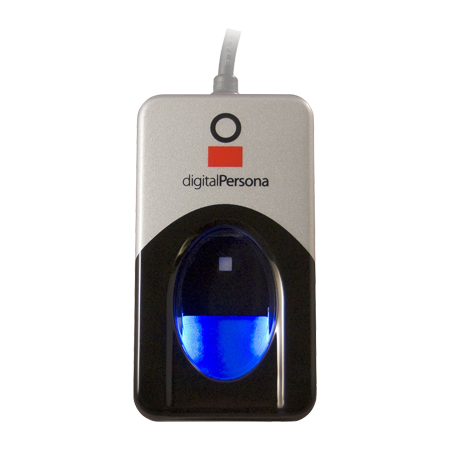 Customers also have the option of using their fingerprints to authenticate their purchases. Nowadays, most modern laptops are equipped with web cams and fingerprint scanners. 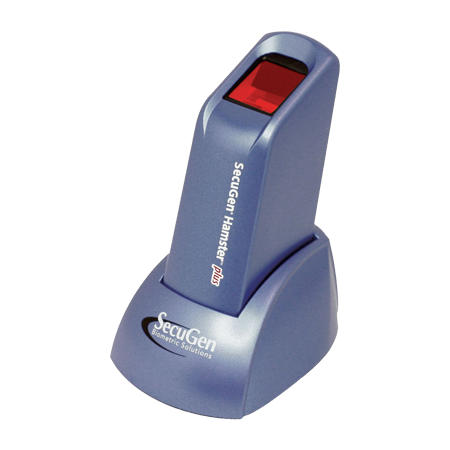 Immigration and law enforcement agencies around the world consider fingerprints to be one of the most reliable identification tools. The use of biometrics helps to strengthen the integrity of the country’s immigration program as it helps to prevent known criminals, those deported in the past and failed refuge claimants to obtain a visa by using a different identity. It also makes legitimate travel easier and aids in smooth passenger flow at airports by readily and accurately confirming identity. Current eGovernment applications face important issues in terms of information security and accurate user authentication. In developing countries, getting access to government services is not a simple and convenient task. It is rather a long and time consuming process. The use of biometrics will enable eGovernment processes to reliably identify citizens and safeguard the integrity of sensitive data stored in information systems. Governments are able to prevent fraud during elections as the use of fingerprint recognition in e-voting helps to ensure that citizens do not vote twice. The integration of biometrics is workforce management systems is a rapidly growing trend as it helps to eliminate employee time theft and increases identification accuracy and reliability. Time theft costs U.S. companies millions of dollars annually and traditional methods such as passwords and swipe cards are unable to sniff out employees that engage in buddy punching. The deployment of biometrics workforce management systems will help to achieve higher and faster return on investment by ensuring employee accountability and increasing productivity. The global biometrics healthcare market is estimated to reach US$5 billion by 2020 as per the Biometrics Research Group. Among the many factors fueling this speedy growth, one is the urgent need to tackle the rising instances of medical fraud and to increase administrative efficiency in healthcare. Medical information of patients is highly sensitive and valuable. Previous methods such as photo ID cards, PINs or passwords were vulnerable to theft, fraudulent activities and can also put the patient’s life at risk. Biometrics can overcome these challenges as it helps to accurately tie the correct medical treatment with the correct patient records. It also ensures that only the authorized persons will have access to the patient records. Without any formal identification document, government lost enormous amounts of money in improper welfare payments as it was difficult to identify the deserving citizens qualifying for welfare. The deployment of biometric technologies will change this scenario as it can accurately identify citizens and then allocate welfare payments. Till today, the most common and widespread method of authentication employs solely passwords but they are highly prone to loss and theft. It is well-known that identity thefts cost businesses a huge amount of money to the tune of billions of dollars. The deployment of proper biometric solutions will help to significantly curb identity thefts and thus provide great benefits for the economy. The most successful way in which biometrics can be used to enhance security is to incorporate multi-factor authentication as it would reduce risk by involving different types of factors. It would require the intruder to use different methods of attack as more than one type of authenticating factor is involved thereby making a breach extremely difficult. A multi-factor authentication combines at least two of the following methods to verify a user’s identity. The factors are – something the user knows (password), something the user has (a trusted identifier) and something the user is (unique biometric). A PIN and password combination is not considered multi-factor since both factors are something the user knows. A full three-factor authentication will enable enterprises to combine password, a device identifier along with the most important factor i.e. 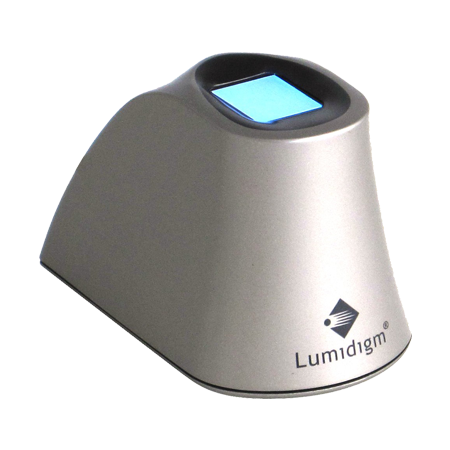 the unique biometric such as fingerprint or face. This kind of authentication approach is the future of biometrics technology and will provide excellent benefits to enterprise-wide security systems. Companies need to introduce multi-factor authentication and ensure that users are educated on how to use them. Some retailers and ATM manufacturers are also experimenting with solutions such as POS fingerprint readers. 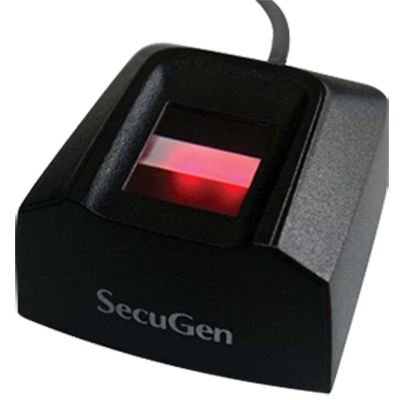 It eliminates the use of PINs or bar-codes and enhances the shopping experience for customers. When implemented at school lunch lines, it helps to create stress free environment for students. They simply need to scan their fingers to get their lunch. They are not required to carry cash or remember their PIN. Retailers will able to realize their return on investment (ROI) faster as fingerprint biometrics can effectively eliminate point of sale shrink and payroll theft. The adoption of biometrics to secure the Internet of Things (IOT) is definitely one of the biggest market trends to watch in 2017. IOT represents machine-to-machine and machine-to-sensor communication and also their ability to gather and leverage the use of data. It has the potential to redefine the way in which devices and systems are used and secured in the enterprise, consumer and manufacturing worlds. The Internet of Things is an emerging concept for both businesses and consumers and as it continues to evolve so will the mainstream adoption of biometric technology. As biometric authentication is able to verify the true identity of the application user, it provides the security and reliability that manufacturers and enterprises require for IOT. Biometrics can be integrated in a wide variety of IOT applications ranging from automotive, smart homes, banking, healthcare etc. These devices will have a huge impact on the biometrics market in the bands and smart clothing segment. Wearables introduce new modalities such as electro-cardiogram sensors and therefore open up a range of capabilities for biometric technology. One example is the Nymi band that uses ECG biometrics and can be used for making payments as well as in access control applications.